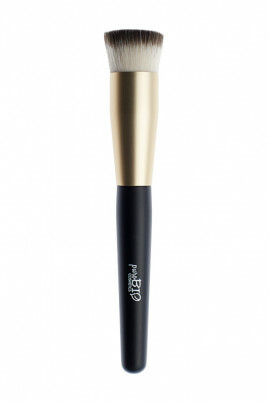 The Purobio Foundation Brush is ideal for applying your liquid foundation, mineral powder or compact foundation! Thanks to its flat base, the very short synthetic hairs make the application simple and fluid for a homogeneous result. The density of the PUROBIO Vegan Foundation Brush provides strong coverage for an even, flawless complexion! For a beautiful complexion with a professional result! On a moisturized face, apply your liquid foundation or compact foundation with PUROBIO Foundation Brush starting from the center of your face and stretching outwards.